The ‘nano-hashtags’ are in fact (assuming a minor leap of imagination) nanowires that resemble hashtags. In Nature, an international team of researchers from Eindhoven University of Technology [Netherlands], Delft University of Technology [Netherlands] and the University of California — Santa Barbara presents an advanced quantum chip that will be able to provide definitive proof of the mysterious Majorana particles. These particles, first demonstrated in 2012, are their own antiparticle at one and the same time. The chip, which comprises ultrathin networks of nanowires in the shape of ‘hashtags’, has all the qualities to allow Majorana particles to exchange places. This feature is regarded as the smoking gun for proving their existence and is a crucial step towards their use as a building block for future quantum computers. In 2012 it was big news: researchers from Delft University of Technology and Eindhoven University of Technology presented the first experimental signatures for the existence of the Majorana fermion. This particle had been predicted in 1937 by the Italian physicist Ettore Majorana and has the distinctive property of also being its own anti-particle. The Majorana particles emerge at the ends of a semiconductor wire, when in contact with a superconductor material. In the Nature paper that is published today [August 23, 2017], Bakkers and his colleagues present a new device that should be able to show this exchanging of Majoranas. In the original experiment in 2012 two Majorana particles were found in a single wire but they were not able to pass each other without immediately destroying the other. Thus the researchers quite literally had to create space. In the presented experiment they formed intersections using the same kinds of nanowire so that four of these intersections form a ‘hashtag’, #, and thus create a closed circuit along which Majoranas are able to move. The researchers built their hashtag device starting from scratch. The nanowires are grown from a specially etched substrate such that they form exactly the desired network which they then expose to a stream of aluminium particles, creating layers of aluminium, a superconductor, on specific spots on the wires – the contacts where the Majorana particles emerge. Places that lie ‘in the shadow’ of other wires stay uncovered. The entire process happens in a vacuum and at ultra-cold temperature (around -273 degree Celsius). “This ensures very clean, pure contacts,” says Bakkers, “and enables us to make a considerable leap in the quality of this kind of quantum device.” The measurements demonstrate for a number of electronic and magnetic properties that all the ingredients are present for the Majoranas to braid. If the researchers succeed in enabling the Majorana particles to braid, they will at once have killed two birds with one stone. Given their robustness, Majoranas are regarded as the ideal building block for future quantum computers that will be able to perform many calculations simultaneously and thus many times faster than current computers. The braiding of two Majorana particles could form the basis for a qubit, the calculation unit of these computers. An interesting detail is that the samples have traveled around the world during the fabrication, combining unique and synergetic activities of each research institution. It started in Delft with patterning and etching the substrate, then to Eindhoven for nanowire growth and to Santa Barbara for aluminium contact formation. Finally back to Delft via Eindhoven for the measurements. Dexter Johnson has some additional insight (interview with one of the researchers) in an Aug. 29, 2017 posting on his Nanoclast blog (on the IEEE [institute of Electrical and Electronics Engineers] website). This entry was posted in electronics, nanotechnology, science and tagged aluminium nanoparticles, Borzoyeh Shojaei, braid, Chris J. Palmstrøm, Daniël Bouman, Daniel Pennachio, Delft University of Technology, Dexter Johnson, Di Xu, Diana Car, Eindhoven University of Technology, Epitaxy of advanced nanowire quantum devices, Erik Bakkers, Erik P. A. M. Bakkers, Ettore Majorana, Guanzhong Wang, Hao Zhang, Holland, IEEE [(nstitute of Electrical and Electronics Engineers), Jie Shen, John A. Logan, Joon Sue Lee, Kun Zuo, Leo P. Kouwenhoven, Maja C. Cassidy, Majorana fermion, Majorana particles, Marcel A. Verheijen, Michiel W. A. de Moor, nano hashtags, nanowires, Netherlands, Peter Krogstrup, Petrus J. van Veldhoven, quantum chip, quantum computers, Roy L. M. Op het Veld, Rudi Schmits, Sasa Gazibegovic, Sebastian Koelling, Stijn C. Balk, University of California at Santa Barbara, US, Yoram Vos on September 28, 2017 by Maryse de la Giroday. 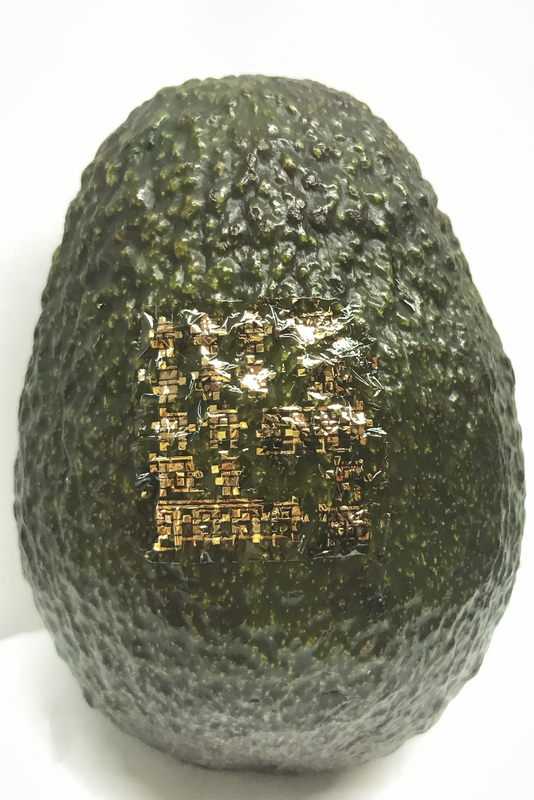 In a development beneficial for both industry and environment, UC Santa Barbara [University of California at Santa Barbara] researchers have created a high-quality coating for organic electronics that promises to decrease processing time as well as energy requirements. “It’s faster, and it’s nontoxic,” said Kollbe Ahn, a research faculty member at UCSB’s Marine Science Institute and corresponding author of a paper published in Nano Letters. In the manufacture of polymer (also known as “organic”) electronics—the technology behind flexible displays and solar cells—the material used to direct and move current is of supreme importance. Since defects reduce efficiency and functionality, special attention must be paid to quality, even down to the molecular level. Often that can mean long processing times, or relatively inefficient processes. It can also mean the use of toxic substances. Alternatively, manufacturers can choose to speed up the process, which could cost energy or quality. Fortunately, as it turns out, efficiency, performance and sustainability don’t always have to be traded against each other in the manufacture of these electronics. Looking no further than the campus beach, the UCSB researchers have found inspiration in the mollusks that live there. Mussels, which have perfected the art of clinging to virtually any surface in the intertidal zone, serve as the model for a molecularly smooth, self-assembled monolayer for high-mobility polymer field-effect transistors—in essence, a surface coating that can be used in the manufacture and processing of the conductive polymer that maintains its efficiency. More specifically, according to Ahn, it was the mussel’s adhesion mechanism that stirred the researchers’ interest. “We’re inspired by the proteins at the interface between the plaque and substrate,” he said. Before mussels attach themselves to the surfaces of rocks, pilings or other structures found in the inhospitable intertidal zone, they secrete proteins through the ventral grove of their feet, in an incremental fashion. In a step that enhances bonding performance, a thin priming layer of protein molecules is first generated as a bridge between the substrate and other adhesive proteins in the plaques that tip the byssus threads of their feet to overcome the barrier of water and other impurities. That type of zwitterionic molecule — with both positive and negative charges — inspired by the mussel’s native proteins (polyampholytes), can self-assemble and form a sub-nano thin layer in water at ambient temperature in a few seconds. The defect-free monolayer provides a platform for conductive polymers in the appropriate direction on various dielectric surfaces. Current methods to treat silicon surfaces (the most common dielectric surface), for the production of organic field-effect transistors, requires a batch processing method that is relatively impractical, said Ahn. Although heat can hasten this step, it involves the use of energy and increases the risk of defects. With this bio-inspired coating mechanism, a continuous roll-to-roll dip coating method of producing organic electronic devices is possible, according to the researchers. It also avoids the use of toxic chemicals and their disposal, by replacing them with water. This entry was posted in biomimcry, coatings, electronics, environment, nanotechnology and tagged adherence, adhesion, Alan J. Heeger, B. Kollbe Ahn., bio-inspired primers, bioinspired, biomimetics, Bruce H. Lipshutz, Bruce Lipshutz, Byoung Hoon Lee, flexible displays, Joan-Emma Shea, Keila Cunha, Kollbe Ahn, Molecularly Smooth Self-Assembled Monolayer for High-Mobility Organic Field-Effect Transistors, mollusks, mussels, organic electronics, organic field-effect transistors, Peter Allen, polyampholytes, polymer (aka "organic") electronics, proteins, Roberto D. Lins, Roscoe Lindstadt, Roscoe T. H. Linstadt, Saurabh Das, self-assembly, solar cells, UC Santa Barbara, UCSB, University of California at Santa Barbara, Yair Kaufman, Youli Li, Zachary A. Levine, zwitterionic molecule (with both positive and negative charges) on November 17, 2016 by Maryse de la Giroday. Initiated in the 15th century, classical physics generally examines and describes systems larger than atoms and molecules. It consists of hundreds of years’ worth of study including Newton’s laws of motion, electrodynamics, relativity, thermodynamics as well as chaos theory — the field that studies the behavior of highly sensitive and unpredictable systems. One classic example of chaos theory is the weather, in which a relatively small change in one part of the system is enough to foil predictions — and vacation plans — anywhere on the globe. All systems are fundamentally quantum systems, according [to] Neill, but the means of describing in a quantum sense the chaotic behavior of, say, air molecules in an evacuated room, remains limited. This entry was posted in science and tagged A. Dunsworth, A. Megrant, A. Polkovnikov, A. Vainsencher, B. Campbell, B. Chiaro, C. Quintana, chaos theory, Charles Neill, classical chaos, classical physics, D. Sank, E. Jeffrey, Ergodic dynamics and thermalization in an isolated quantum system by C. Neill, Google, islands of low entanglement, J. Kelly, J. M. Martinis, J. Mutus, J. Wenner, M. Fang, M. Kolodrubetz, P. J. J. O’Malley, P. Roushan, Pedram Roushan, quantum computing, quantum entanglement, quantum physics, qubits, R. Barends, regions of chaos, Sonia Fernandez, T. C. White, thermalization, UC Santa Barbara, UCSB, University of California at Santa Barbara, Y. Chen, Z. Chen on July 26, 2016 by Maryse de la Giroday. I usually post about dry adhesion, that is, sticking to dry surfaces in the way a gecko might. This particular piece concerns wet adhesion, a matter of particular interest in medicine where you want bandages and such to stick to a wet surface and in marine circles where they want barnacles and such to stop adhering to boat and ship hulls. Wet adhesion is a true engineering challenge. Marine animals such as mussels, oysters and barnacles are naturally equipped with the means to adhere to rock, buoys and other underwater structures and remain in place no matter how strong the waves and currents. Synthetic wet adhesive materials, on the other hand, are a different story. Taking their cue from Mother Nature and the chemical composition of mussel foot proteins, the Alison Butler Lab at UC [University of California] Santa Barbara [UCSB] decided to improve a small molecule called the siderophore cyclic trichrysobactin (CTC) that they had previously discovered. They modified the molecule and then tested its adhesive strength in aqueous environments. The result: a compound that rivals the staying power of mussel glue. Also part of the interdisciplinary effort were Jacob Israelachvili’s Interfacial Sciences Lab in UCSB’s Department of Chemical Engineering and J. Herbert Waite, a professor in the Department of Molecular, Cellular and Developmental Biology, whose own work focuses on wet adhesion. Mussel foot proteins contain similar amounts of lysine and the catechol dopa. Catechols are chemical compounds used in such biological functions as neurotransmission. However, certain proteins have adopted dopa for adhesive purposes. From discussions with Waite, Butler realized that CTC contained not only lysine but also a compound similar to dopa. Further, CTC paired its catechol with lysine, just like mussel foot proteins do. Only the two compounds containing a cationic amine, such as lysine, and catechol exhibited adhesive strength and a reduced intervening film thickness, which measures the amount two surfaces can be squeezed together. Compounds without catechol had greatly diminished adhesion levels but a similarly reduced film thickness. Without lysine, the compounds displayed neither characteristic. “Our tests showed that lysine was key, helping to remove salt ions from the surface to allow the glue to get to the underlying surface,” Maier said. I have previously written about mussels and wet adhesion in a Dec. 13, 2012 posting regarding some research at the University of British Columbia (Canada). As for dry adhesion, there’s my June 11, 2014 posting titled: Climb like a gecko (in DARPA’s [US Defense Advanced Research Projects Agency] Z-Man program) amongst others. This entry was posted in biomimcry and tagged Adaptive synergy between catechol and lysine promotes wet adhesion by surface salt displacement, Alison Butler, bioinspired, biomimetics, bioninspiration, Climb like a gecko (in DARPA’s [US Defense Advanced Research Projects Agency] Z-Man program), Greg Maier, Greg P. Maier, J. Herbert Waite, Jacob Israelachvili, Jacob N. Israelachvili, mica surfaces, Michael Rapp, Michael V. Rapp, mussel foot proteins, mussel glue, mussel goo, mussels, oysters barnacles, siderophore cyclic trichrysobactin (CTC), synthetic wet adhesive materials, UCSB, University of California at Santa Barbara, wet adhesion on August 17, 2015 by Maryse de la Giroday. Regular readers know I have a long-standing interest in memristor and artificial brains. I have three memristor-related pieces of research, published in the last month or so, for this post. RMIT University researchers have mimicked the way the human brain processes information with the development of an electronic long-term memory cell. Researchers at the MicroNano Research Facility (MNRF) have built the one of the world’s first electronic multi-state memory cell which mirrors the brain’s ability to simultaneously process and store multiple strands of information. The development brings them closer to imitating key electronic aspects of the human brain — a vital step towards creating a bionic brain — which could help unlock successful treatments for common neurological conditions such as Alzheimer’s and Parkinson’s diseases. The research builds on RMIT’s previous discovery where ultra-fast nano-scale memories were developed using a functional oxide material in the form of an ultra-thin film – 10,000 times thinner than a human hair. “We have now introduced controlled faults or defects in the oxide material along with the addition of metallic atoms, which unleashes the full potential of the ‘memristive’ effect – where the memory element’s behaviour is dependent on its past experiences,” Dr Nili said. Dr Nili said the research had myriad practical applications including the potential for scientists to replicate the human brain outside of the body. In what marks a significant step forward for artificial intelligence, researchers at UC Santa Barbara have demonstrated the functionality of a simple artificial neural circuit (Nature, “Training and operation of an integrated neuromorphic network based on metal-oxide memristors”). For the first time, a circuit of about 100 artificial synapses was proved to perform a simple version of a typical human task: image classification. … As you read this, your brain is making countless split-second decisions about the letters and symbols you see, classifying their shapes and relative positions to each other and deriving different levels of meaning through many channels of context, in as little time as it takes you to scan over this print. Change the font, or even the orientation of the letters, and it’s likely you would still be able to read this and derive the same meaning. In the researchers’ demonstration, the circuit implementing the rudimentary artificial neural network was able to successfully classify three letters (“z”, “v” and “n”) by their images, each letter stylized in different ways or saturated with “noise”. In a process similar to how we humans pick our friends out from a crowd, or find the right key from a ring of similar keys, the simple neural circuitry was able to correctly classify the simple images. “While the circuit was very small compared to practical networks, it is big enough to prove the concept of practicality,” said Merrikh-Bayat. According to Gina Adam, as interest grows in the technology, so will research momentum. “And, as more solutions to the technological challenges are proposed the technology will be able to make it to the market sooner,” she said. Key to this technology is the memristor (a combination of “memory” and “resistor”), an electronic component whose resistance changes depending on the direction of the flow of the electrical charge. Unlike conventional transistors, which rely on the drift and diffusion of electrons and their holes through semiconducting material, memristor operation is based on ionic movement, similar to the way human neural cells generate neural electrical signals. “The memory state is stored as a specific concentration profile of defects that can be moved back and forth within the memristor,” said Strukov. The ionic memory mechanism brings several advantages over purely electron-based memories, which makes it very attractive for artificial neural network implementation, he added. This is where analog memory trumps digital memory: In order to create the same human brain-type functionality with conventional technology, the resulting device would have to be enormous — loaded with multitudes of transistors that would require far more energy. Potential applications already exist for this emerging technology, such as medical imaging, the improvement of navigation systems or even for searches based on images rather than on text. The energy-efficient compact circuitry the researchers are striving to create would also go a long way toward creating the kind of high-performance computers and memory storage devices users will continue to seek long after the proliferation of digital transistors predicted by Moore’s Law becomes too unwieldy for conventional electronics. This paper is behind a paywall but a free preview is available through ReadCube Access. Dexter Johnson has written up the RMIT research (his May 14, 2015 post on the Nanoclast blog on the IEEE [Institute of Electrical and Electronics Engineers] website). He linked it to research from Mark Hersam’s team at Northwestern University (my April 10, 2015 posting) on creating a three-terminal memristor enabling its use in complex electronics systems. Dexter strongly hints in his headline that these developments could lead to bionic brains. For those who’d like more memristor information, this June 26, 2014 posting which brings together some developments at the University of Michigan and information about developments in the industrial sector is my suggestion for a starting point. Also, you may want to check out my material on HP Labs, especially prominent in the story due to the company’s 2008 ‘discovery’ of the memristor, described on a page in my Nanotech Mysteries wiki, and the controversy triggered by the company’s terminology (there’s more about the controversy in my April 7, 2010 interview with Forrest H Bennett III). This entry was posted in electronics, nanotechnology and tagged 2D materials: Memristor goes two-dimensional, Ahmad Esmaielzadeh Kandjani, artificial brains, artificial intelligence, Australia, B. D. Hoskins, D. B. Strukov, Dmitri B. Strukov, Donor-Induced Performance Tuning of Amorphous SrTiO3 Memristive Nanodevices: Multistate Resistive Switching and Mechanical Tunability, F. Merrikh-Bayat, G. C. Adam, Hussein Nili, Jiangtan Yuan, Jun Lou, K. K. Likharev, M. Prezioso, Madhu Bhaskaran, memristors, nano memory cell, Omid Kavehei, Philipp Gutruf, Rajesh Ramanathan, Rice University, RMIT University, Sharath Sriram, Sivacarendran Balendhran, Stony Brook University, Sumeet Walia, Taimur Ahmed, Training and operation of an integrated neuromorphic network based on metal-oxide memristors, UC Santa Barbara, UCSB, University of California at Santa Barbara, US, Vipul Bansal on May 15, 2015 by Maryse de la Giroday.